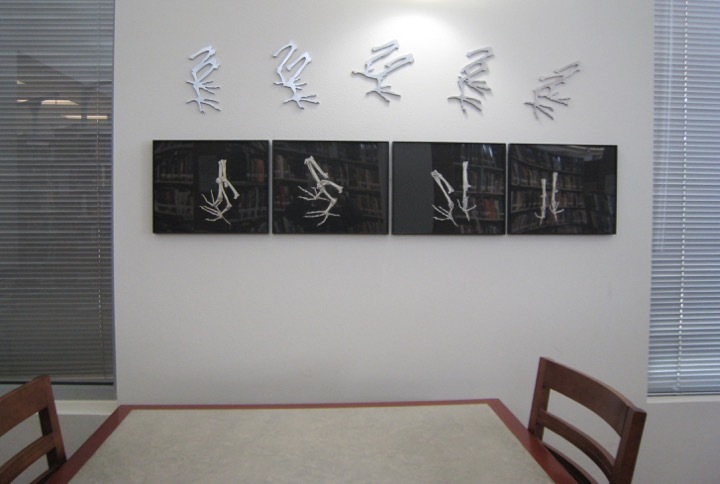 Alphabet of Bones corner installation, Geisel Library, University of California, San Diego, Library Quartet Exhibtion, longterm loan, 2003. Alphabet of Bones Poster, 1988. Original drawings for The Alphabet of Bones, 1987. The Dimensional Alphabet of Bones, UCSD Mandeville Special Coll. 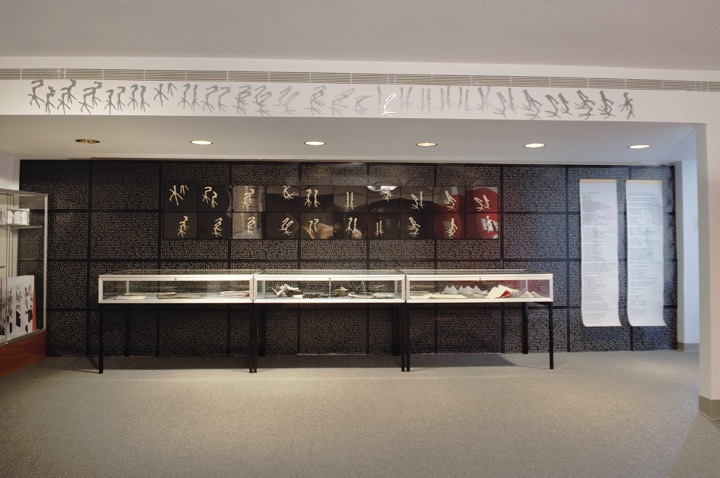 Library (purchase) on permanent view, 26 pairs of hand carved on wood characters with hand applied silver leaf surface, edition of 6, 2003. 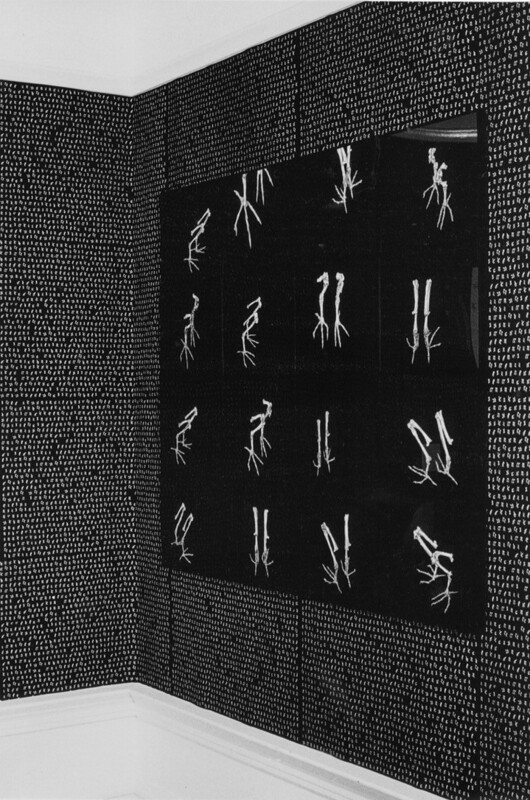 The Alphabet of Bones corner installation (original drawings over texts), Cal State University Art Gallery, Los Angeles, 1994. 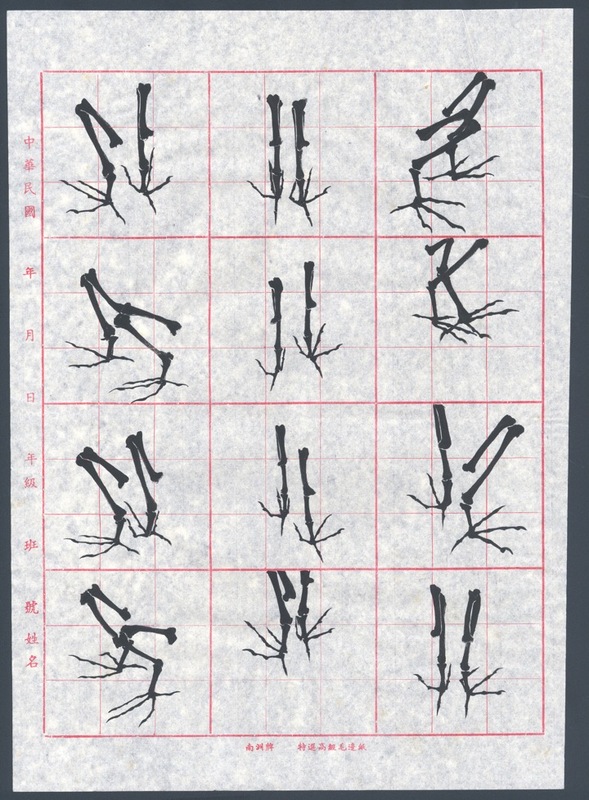 Original drawings for The Alphabet of Bones, 1986. 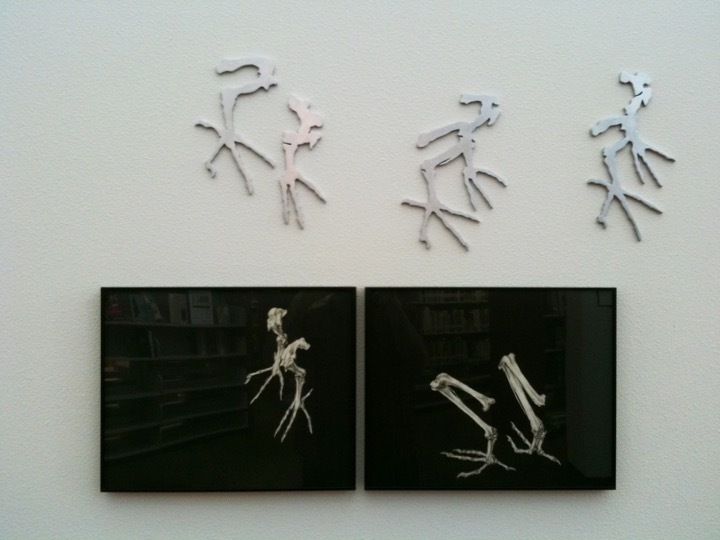 Alphabet of Bones, North University Community Library, City West, Artwork on longterm loan, 2013. 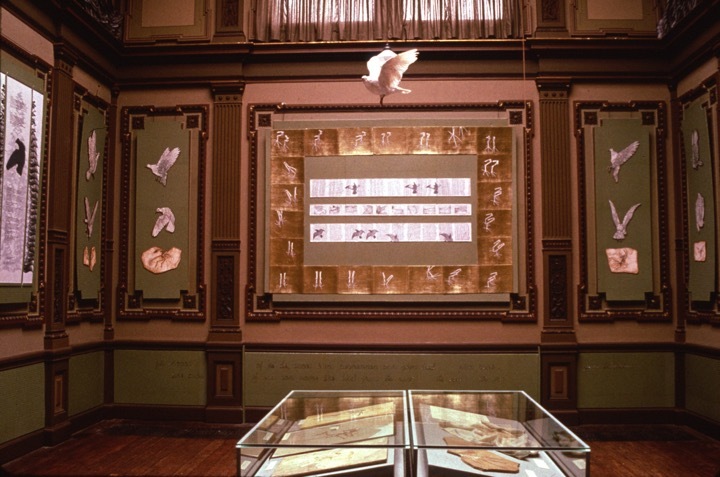 The Alphabet of Bones (gold leaf), Teylers Museum Exhibition, Haarlem, The Netherlands, 1990. 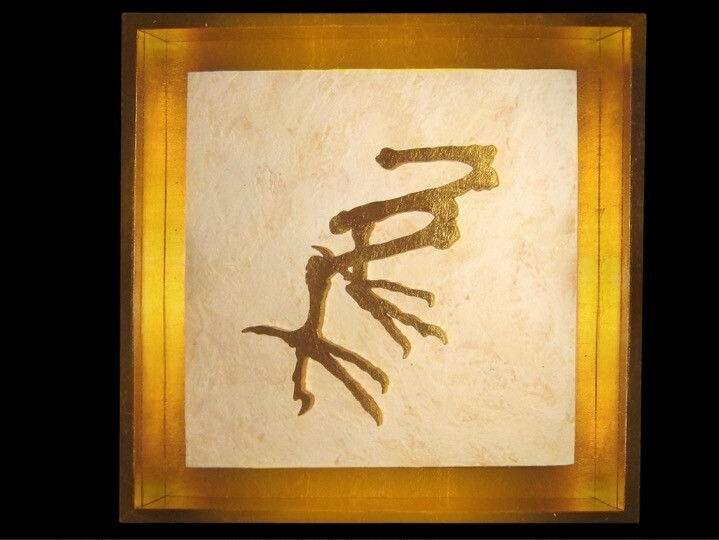 Dimensional Alphabet of Bones (gold leaf), 1994. 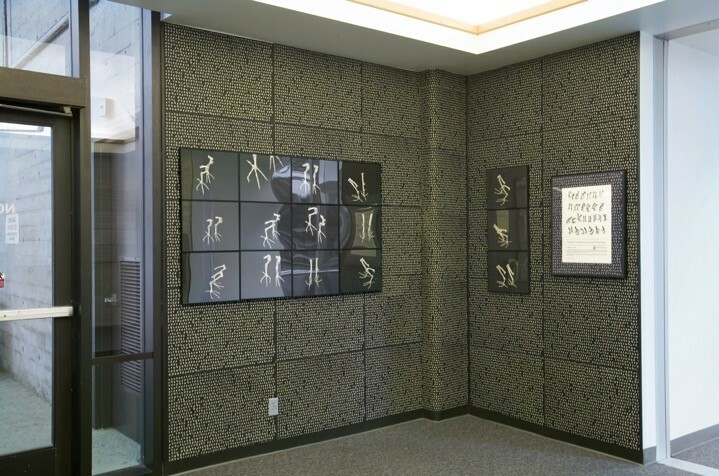 Episodes of the City, Fales Library Gallery, New York University, New York City, 2007. 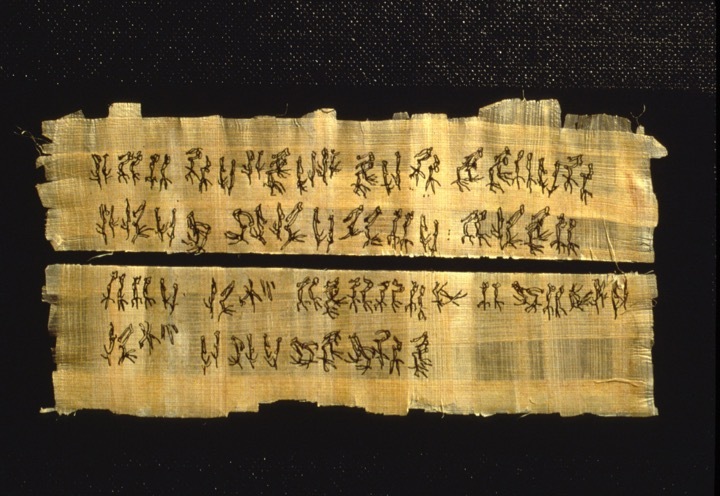 Handwritten message in The Alphabet of Bones, on papyrus, 2003. 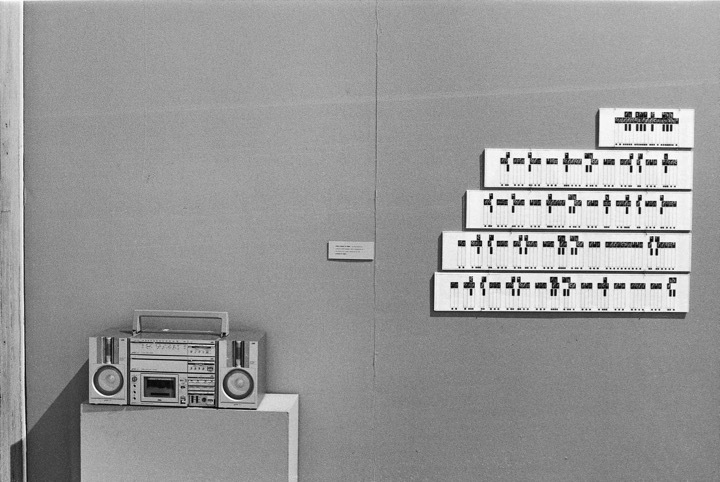 Sound Alphabet of Bones, Wingtrace/The Sign of its Track Exhibition, Herbert Johnson Museum, Cornell University, Ithaca, NY, 1986. 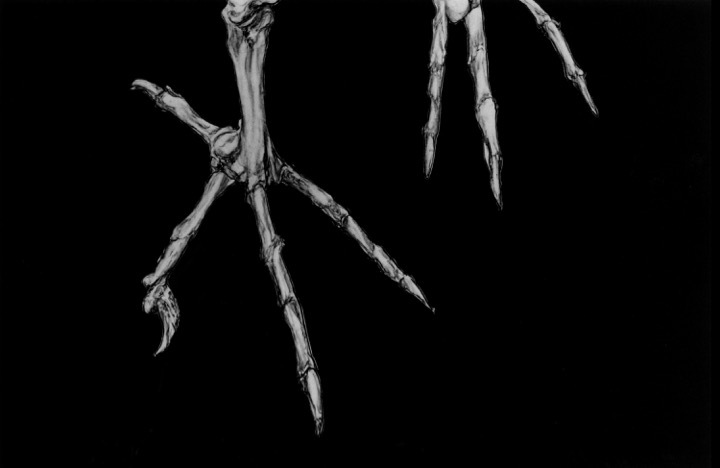 The Alphabet of Bones is an original calligraphy composed of anatomically accurate drawings of the hollow leg bones of the Columba Livia, or messenger pigeon. 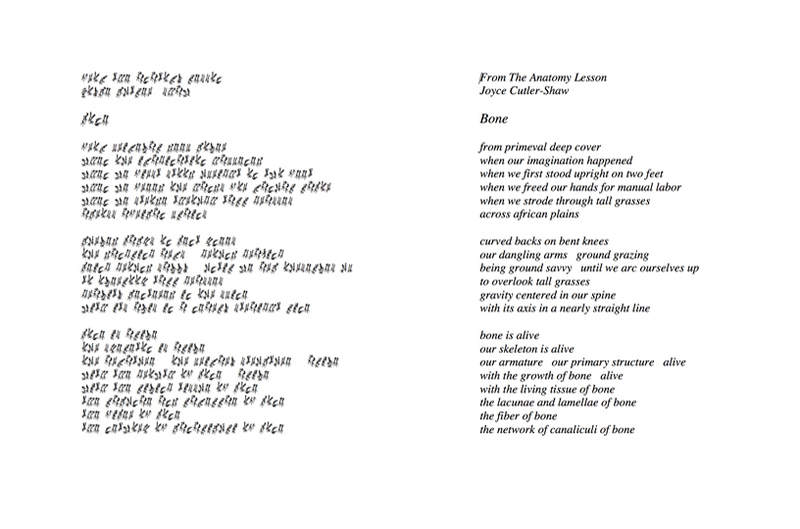 It is a unique, copyrighted font that has twenty-six double characters, conceived as a visual dance. Each character has an alphabetic equivalent in English and an electronically generated sound equivalent. It also has a private symbolic code, similar to the pictographic nature of hieroglyphics, in which each character, or sign, has a cluster of referents. 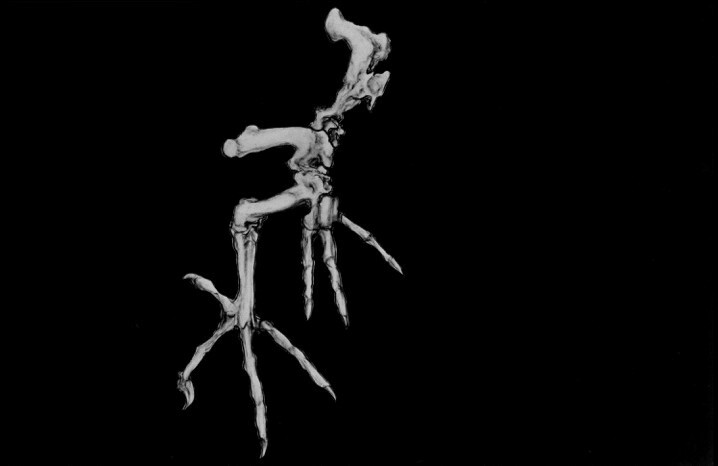 With its digitization, English text and poems can be printed out in The Alphabet of Bones. The sequence determines meaning through interpretive reading. 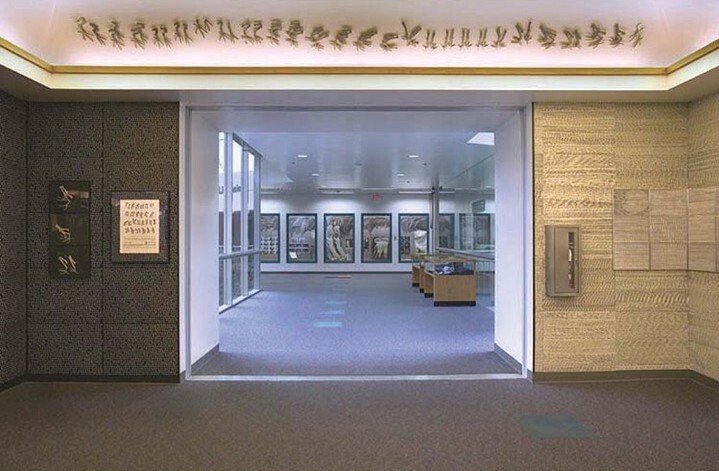 At the surface level, texts, written in this alphabet, can be read as visual poems.